LeBron James and Dwyane Wade transcended basketball and used their celebrity in the most positive light on Thursday night. 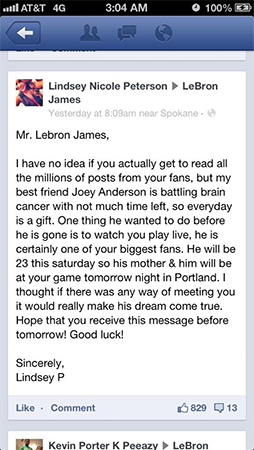 Thinking it was a longshot, Nicole Peterson posted on LeBron James’ Facebook page on Wednesday night asking the superstar if he could grant her friend, Joey Anderson, a dying wish. 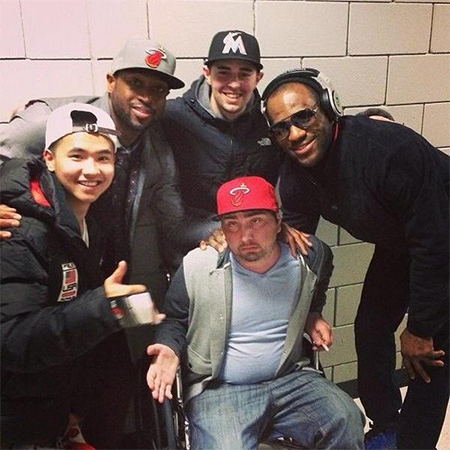 Suffering from brain cancer and told he doesn’t have much time left, Anderson, the ultimate Miami Heat fan, just wanted to see a game live. 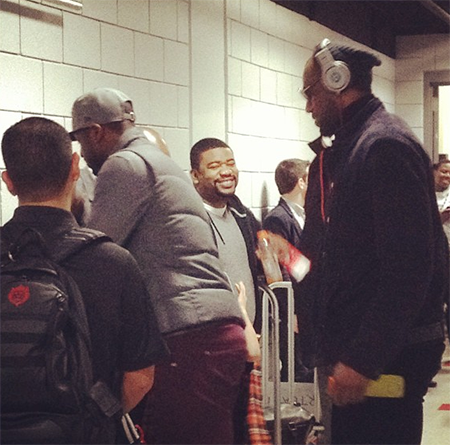 LeBron not only saw the message, but he delivered, and even brought along his BFF, Dwyane Wade, after the loss to the Blazers and took photos and signed autographs for Joey. Very, very awesome.